It is the Tahitian Lime that is most widely grown in Australia and it suits conditions in many areas. The fruits are the size of small lemons and can be used in many cuisines as well as in cool drinks. All lime trees require a warm sunny position good drainage, so let’s look at the best way to grow lime trees. 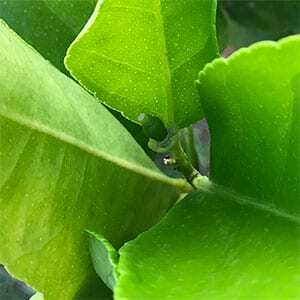 Popular in many cultures and cuisines, lime trees are a popular fruit tree for he home garden. They grow well in the garden in warmer climates and are also suited to growing in containers. They can be grown from Queensland right through to the southern states including Victoria and as far south as Melbourne. Lime trees are usually grafted and therefore are purchased as potted plants. It is possible to collect the seeds and grow your own tree, however you will find that the fruit is not usually as good as that of a grafted tree. All varieties require a well drained soil, a sunny position and protection from frosts. The soil needs to be well drained, so in poorly drained areas try hilling up the soil if needed. Prepare the soil well, dig in good amounts of compost and some aged cow manure. Do this to an area 2 – 3 times the size of the container the tree comes in. Mulch around the plant with sugar can mulch or similar to suppress weeds and help retain moisture. Water regularly without letting the soil get soggy. Fertilise with good amounts of pelletised poetry manure from spring to early summer. In the first two years after planting lime trees can be reluctant to fruit, they will come into full production after 3 – 4 years. Growing lime trees in pots is common, you will need a large pot to accommodate the root system. Drainage is important so ensure that the pot you choose has multiple drainage holes rather then one central hole. You need to be able to lift the pot itself so that it does not sit directly on the ground, or paved surface. Sitting the pot on the ground can cause the drainage holes to block and therefore root problems. Fertiliser for lime trees will depend on where you are growing them. In containers, a granulated citrus fertiliser is probably best as it does not smell. In the ground, away from outdoor living areas, a composted chicken fertiliser works well. Regular applications of seaweed fertiliser are also beneficial. Lime trees rarely need pruning, they do however require shaping and a general clean up every year or two. The clean up involves removing and dead or damaged wood. The shaping is a matter of rounding off the tree and taking back some of the long leaders.This will improve the look and also improve fruit production. When will lime trees fruit ? Lime trees will bear fruit at around three years if they are grafted. Those grown from seeds can take around 9 years to fruit. While the tree is developing remember to fertilise regularly and prune to shape. Lime trees also require more warmth that lemon trees to to flower, so make sure they are are in a warm sheltered position. The Tahitian Lime (Citrus aurantifolia), it is mainly used for the juice. This variety will grow in cooler climates as long it is in a warm sheltered position and it has very few seeds. The West Indian Lime (also Citrus aurantifolia) is stronger tasting and has more seeds, also smaller fruit. Sometimes called the ‘Key Lime’, it does require a sub tropical climate to thrive. Also sometimes called the bartenders lime as it is the preferred variety for drinks. The Kaffir Lime (Citrus hystrix) is used for the leaves as well as the flesh which are used in cooking. The Rangpur Lime is a hybrid, Citrus × limonia. Also known as the Sylhet lime, it is a cross between a lime and a mandarine. Sweeter fruit on a very ornamental tree. The Australian Limes (Finger Limes or Blood Limes) with their attractive beads of juicy flesh are used both for the flavours and the attractiveness of the flesh. These are fruit tree that will grow well from Sydney through to the tropics. You can grow them in Melbourne, however you will need to create a warm sheltered micro climate for them to fruit well. They are not a tree that thrive in the cooler hills around Sydney unless protected. Lake of water is a third cause. Potassium deficiency is another case. More detailed growing instructions are available for each variety.